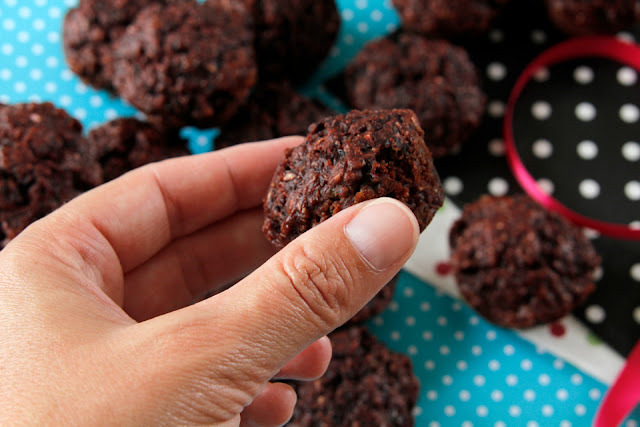 These doggy muffin treats are delicious, dense, moist, and a deep dark "red velvet" shade thanks to a yummy (and healthy!) combination of carob and beetroot. We don't often do doggy cakes here other than barkday parties, but I couldn't resist working on a velvety red pupcake recipe and here it is in honour of our third blogiversary! Three years ago (after much encouragement from folks who knew about my crazy treats and toys) the dogs got their own blog and the makings of Dalmatian DIY were born. Thanks to all of you who have joined in our crazy antics along the way, opened your hearts to Oli and Humphrey, and been part of our blog and social media world. We look forward to creating and sharing more in years to come. Preheat oven to 160C. Combine beetroot, banana, and egg in a small mixing bowl. Stir in the carob, LSA/flax and chia seeds, then add flour and mix until just combined. Spoon into a prepared mini muffin pan (or alternative baking pan/dish of your preference) and smooth/tap to even out the batter. Bake until slightly risen and cooked through (mine took approximately 20 minutes). Remove from the oven to touch cool before transferring the muffins from the pan to a cooling rack cool completely. 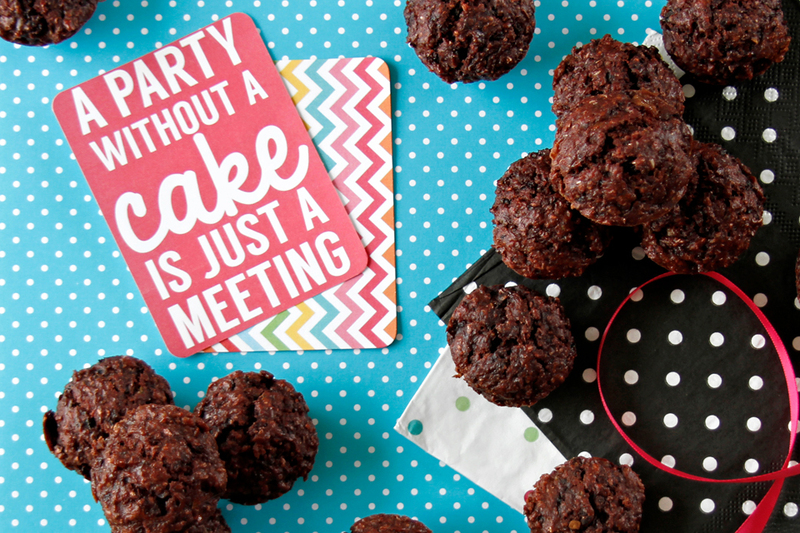 I was a little leery of trying a muffin with so much fruit and vegetable lest it be too dense to rise into shape, but these baked up beautifully - like dense little brownie bites in mini muffin form. And they smelled fabulous! I did not sample (not a banana fan myself...) but the dogs seemed to enjoy them very much! Individual wet ingredients like pureed fruit and veggies can vary in moisture. You can add a little more/less flour or adjust the consistency with a small amount of water or other dog safe liquid. Want to try a different shape or size? No prob! Keep an eye of the oven and adjust the baking temperature and/or time to better suit the size of your pans if needed.